This autumn, 9 October – 12 January 2014, the National Gallery presents the UK’s first major exhibition devoted to the portrait in Vienna - Facing the Modern: The Portrait in Vienna 1900. Iconic portraits from this time – by Gustav Klimt , Egon Schiele, Richard Gerstl, Oskar Kokoschka and Arnold Schönberg are displayed alongside works by important yet less widely known artists such as Broncia Koller and Isidor Kaufmann. In contrast to their contemporaries working in Paris, Berlin and Munich, and in response to the demands of their local market, Viennese artists such as Klimt remained focused on the image of the individual. Portraits therefore dominate their production, enabling this exhibition to reconstruct the shifting identities of artists, patrons, families, friends, intellectual allies and society celebrities of this time and place. Paintings from major collections on both sides of the Atlantic, including those that hardly ever leave the walls of the Belvedere in Vienna and MoMA in New York are shown next to rarely seen, yet remarkable images from smaller public and private collections. Most works are on canvas, though visitors will also see drawings and the haunting death masks of Gustav Klimt (1918); Ludwig van Beethoven (1827), Egon Schiele (1918) and Gustav Mahler (1911), all on loan from the Wien Museum Karlsplatz. A family photograph album belonging to Edmund de Waal, acclaimed author of 'The Hare with Amber Eyes' (2010) will also be exhibited. De Waal’s family were once a very wealthy European Jewish banking dynasty centered in Vienna; this photograph memoir has been described as an ‘enchanting history lesson’. 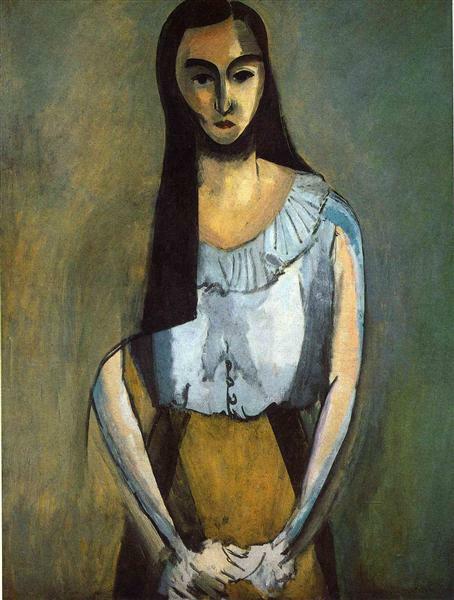 the haunting image of a Jewish patron of art and design whose family would be driven from Vienna by anti-Semitism in the 1930s. It is the only painting by this seminal Viennese artist in the National Gallery’s collection. The exhibition also features a room devoted to the portrait as a declaration of love and commemoration of the dead while a final display looks at unfinished or abandoned works that failed to meet the expectations of artists or patrons. 'Facing the Modern: The Portrait in Vienna 1900' explores an extraordinary period of the multi-national, multi-ethnic, multi-faith city of Vienna as imperial capital of the Austro-Hungarian Empire (1867–1918). The exhibition looks back at middle-class Vienna in the early 19th century, the so-called Biedermeier period, as represented by artists like Frederich von Amerling and Ferdinand Georg Waldmüller, whose portraits were ‘rediscovered’ by the city’s modern artists in 1900. It then moves to the 1867 – 1918 period to consider images of children and families, of artists, and of men and women in their professional and marital roles. The period began with liberal and democratic reform, urban and economic renewal, and religious and ethnic tolerance, but ended with the rise of conservative, nationalist and anti-Semitic mass movements. Such dramatic changes had a profound impact on the composition and confidence of Vienna’s middle classes, many of them immigrants with Jewish roots or connections. Portraits were the means by which this sector of society - the ‘New Viennese’ - declared its status and sense of belonging; portraits also increasingly served to express their anxiety and alienation. 'Facing the Modern: The Portrait in Vienna 1900' is curated by Dr. Gemma Blackshaw, Associate Professor, History of Art and Visual Culture at Plymouth University and guest curator at the National Gallery. 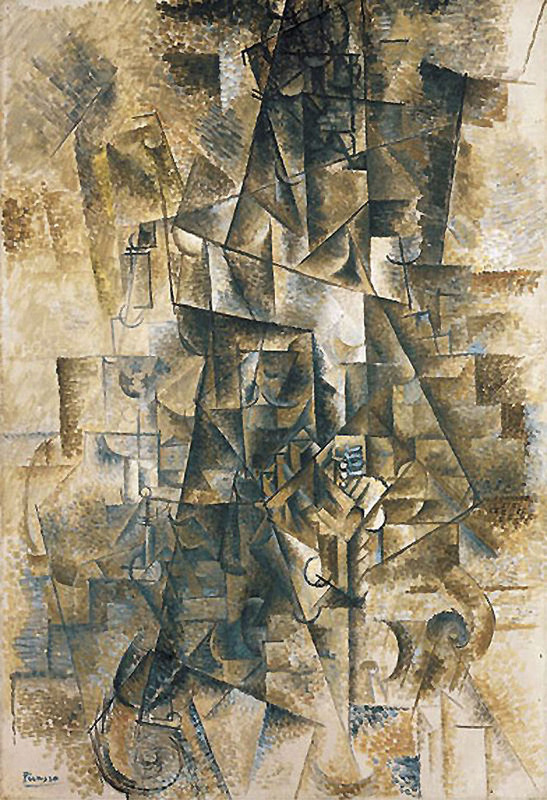 The project was conceived by Christopher Riopelle, Curator of Post-1800 Paintings at the National Gallery. 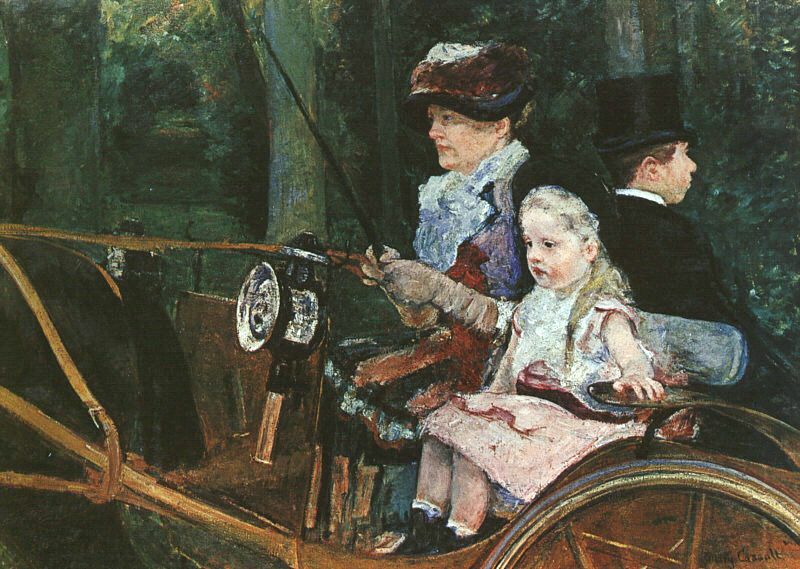 'Facing the Modern: The Portrait in Vienna 1900' is organised by the National Gallery, London. Isidor Kaufmann’s Young Rabbi of 1910. The exhibition is far from being “a portrait of Vienna itself”, as Nicholas Penny puts it in his Director’s Foreword; it could hardly be that without some focus on the Secession and the Wiener Werkstätte (craft workshops) — though some trifle by Kolomon Moser appears on the shelf behind Maria in Auchentaller’s portrait of 1912.
his posthumous (and unfinished, for he too died) portrait of the dancer Ria Munk of 1917-18, makes the point. The stars of the show are undoubtedly Schiele and Klimt. Schiele's portraits, especially those of himself, are a bit frightening and grotesque, and deliberately, provocatively so. I am immune to Schiele. Klimt, who began as an extremely proficient and conventional portraitist, did at least develop in interesting ways, and wasn't just bludgeoning us with his ego. There was a sense of inquiry in his work, even at its most decorative, an interest in form and surface that at its best becomes almost oceanic. Perhaps the real ending to the show comes not among the death masks or the portrait of Emperor Franz Joseph, lain out for the undertaker, but in Klimt's 1917-18 portrait of Amalie Zuckerkandl, which hangs alone on a dark wall. Klimt died before finishing the painting. It seems complete without his usual decorative excess. I am held by the painting's symmetry, the way that Zuckerkandl looks directly at us. Apart from her head and bust, the rest is vagueness. Later, she was murdered in a Nazi concentration camp. Here, she still has something of a life to live, which makes this painting's incompleteness painful and expressive in ways the artist could never have intended or envisaged. are so unsettling that on first seeing them I found I’d inadvertently taken a step backwards. Husband and wife are seen from head on, as though caught in the beam of a headlamp. Dressed to the nines, Isabella smiles as she knows she must. But what a smile:self-conscious and tearful, she bares her white teeth as if she might bite us. Christoph, by contrast is a big powerful man who crumples that day’s newspaper in one hand. Assured, calm and self -confident, he could be a psychiatrist, she his patient. 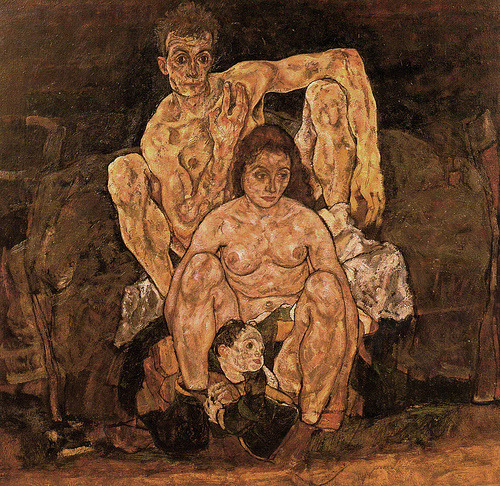 Compare this to Kokoschka’s double portrait of the young art historian Hans Tietze and his wife Erica Tietze-Conrat of 1909, where the husband lowers his eyes and bites his lower lip hard enough to draw a drop of blood. If he is eaten up with anxiety his wife stares vacantly into space with the unfocused eyes of a person in shock. And that portrait is mild stuff compared to Kokoschka’s dying Count Verona, where on the wall behind the tubercular sitter is a palm print made with the blood he has just coughed up and wiped from his mouth and chin. 'Facing the Modern: The Portrait in Vienna 1900' is published by National Gallery Company to accompany the exhibition. The foreword to the accompanying book, edited by Dr. Blackshaw, is written by Edmund de Waal. 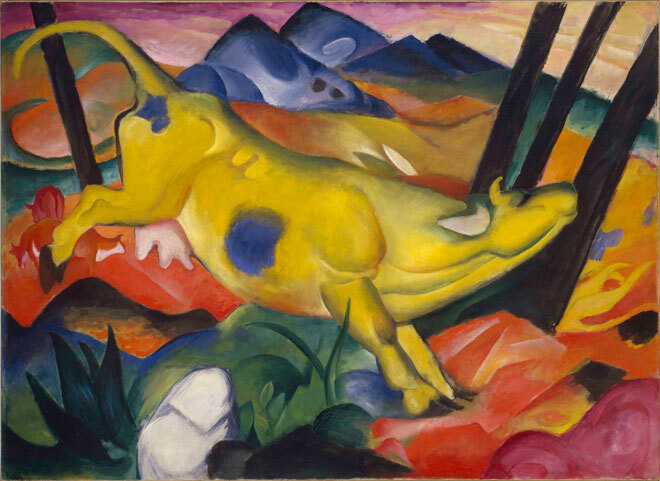 After winning acclaim and record attendance on a four-year international and domestic tour, The Phillips Collection’s American art treasures will make a grand homecoming in February 2014 in a landmark exhibition titled Made in the USA. The most comprehensive presentation of the museum’s American art collection undertaken in nearly 40 years, Made in the USA showcases more than 200 masterpieces—from romantic seascapes and jazzy city scenes to abstract canvases and boldly colored portraits—by more than 125 artists whose new visual language made American art an international sensation. 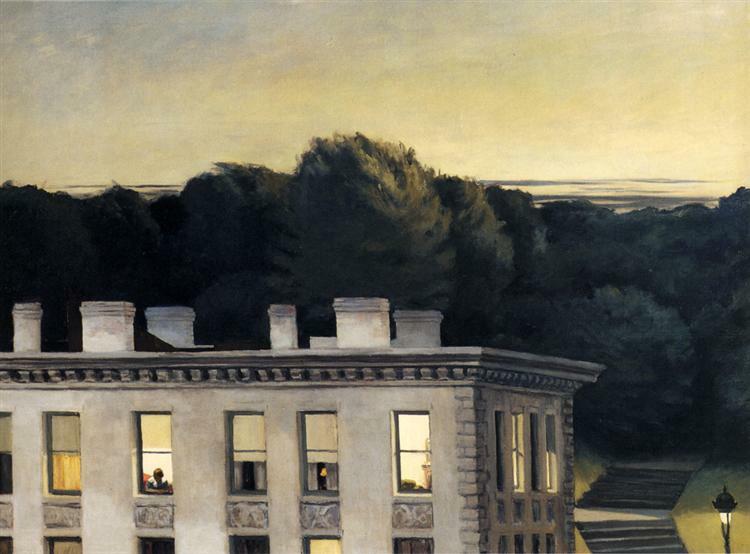 Organized chronologically as a thematic narrative about American art from the late 19th century through the postwar years, the exhibition aims to demonstrate how artists with fresh vision and independent spirit captured modern American life. The Phillips Collection’s superb collection of American art, acquired over half a century, is presented here for the first time in a comprehensive overview, featuring 160 works from heroes of the late 19th century—such as William Merritt Chase, Thomas Eakins, and Winslow Homer, who set the course for modern art in America—to abstract expressionists Willem de Kooning, Richard Diebenkorn, Adolph Gottlieb, and Mark Rothko, whose efforts to create a new visual language following World War II brought a new global significance to American art. A perennial guide to this important collection, the book includes scholarly essays on Phillips and on the Rothko Room, introductions to key groups of works in the collection, more than one hundred biographies of the most influential artists represented, and a chronology of Phillip's acquisitions and interactions with American artists. The itinerary of the exhibition is divided into ten thematic areas, detailed below, chronologically covering 100 years of American art, although necessarily some overlap in time. Thus we see Romanticism, Realism and Impressionism, forces of nature, abstraction (of special interest is work by Arthur Dove and Georgia O´Keffe) modern life and its corollary, the city (let yourself be amazed here by Edward Hopper, Pierre de Bois, John Sloan, and the aesthetic details of Charles Sheeler), Memory and identity (with several of the panels of the seminal series on African-American Migration by Jacob Lawrence), the Heritage of Cubism, ending with abstraction (best represented by an exquisite, small Rothko) culminating in abstract expressionism. The Phillips Collection is one of the world’s most distinguished collections of impressionist and modern American and European art. Stressing the continuity between art of the past and present, it offers a strikingly original and experimental approach to modern art by combining works of different nationalities and periods in displays that change frequently. The setting is similarly unconventional, featuring small rooms, a domestic scale, and a personal atmosphere. 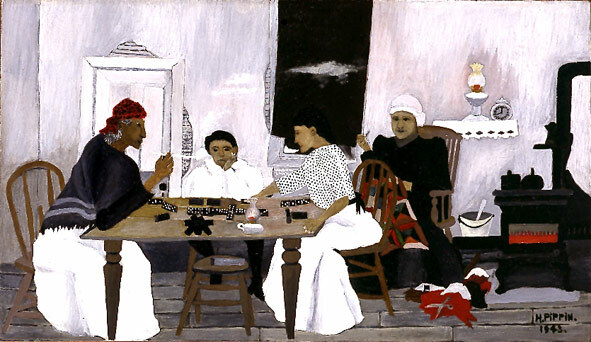 Artists represented in the collection include Pierre-Auguste Renoir, Vincent van Gogh, Edgar Degas, Henri Matisse, Pierre Bonnard, Paul Cézanne, Pablo Picasso, Paul Klee, Claude Monet, Honoré Daumier, Georgia O’Keeffe, Arthur Dove, Mark Rothko, Milton Avery, Jacob Lawrence, and Richard Diebenkorn, among others. The Phillips Collection, America’s first museum of modern art, has an active collecting program and regularly organizes acclaimed special exhibitions, many of which travel internationally. The Intersections series features projects by contemporary artists, responding to art and spaces in the museum. The Phillips also produces award-winning education programs for K–12 teachers and students, as well as for adults. The museum’s Center for the Study of Modern Art explores new ways of thinking about art and the nature of creativity, through artist visits and lectures, and provides a forum for scholars through courses, postdoctoral fellowships, and internships. Since 1941, the museum has hosted Sunday Concerts in its wood-paneled Music Room. The Phillips Collection is a private, non-government museum, supported primarily by donations. Nearly 100 years after the First World War began, the artistic frenzy that swept Europe in the years leading up to the conflict comes alive at the Art Gallery of Ontario (AGO) in The Great Upheaval: Masterpieces from the Guggenheim Collection, 1910-1918. Featuring over 60 works by 36 artists including Kandinsky, Picasso, Modigliani and Chagall, the exhibition explores several years of unprecedented social, political and technological change through painting and sculpture. Organized by the Solomon R. Guggenheim Foundation, New York, and supported by Lead Sponsor BMO Financial Group, the exhibition makes its only Canadian stop at the AGO from Nov. 30, 2013, to March 2, 2014. 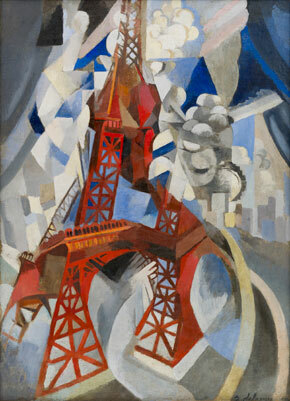 Curated by the Guggenheim’s Tracey Bashkoff, senior curator of collections and exhibitions, and Megan Fontanella, associate curator of collections and provenance, The Great Upheaval: Masterpieces from the Guggenheim Collection, 1910-1918 features works by Umberto Boccioni, Marc Chagall, Marcel Duchamp, Fernand Léger, Kazimir Malevich, Franz Marc and others. The diversity of works and the various artistic movements that defined this era — including Futurism, Cubism and Expressionism — illustrate nearly a decade of intense experimentation, exchange and networking. 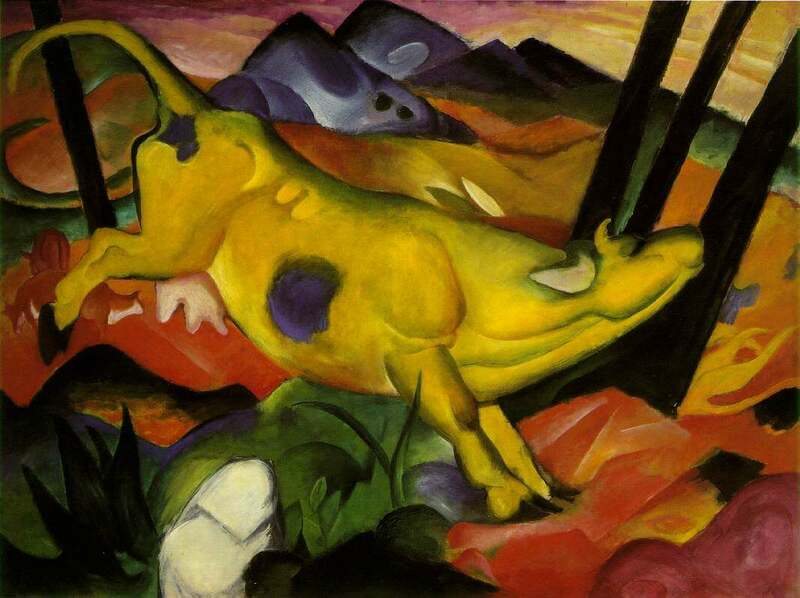 "Franz Marc, Yellow Cow; (Gelbe Kuh;), 1911. 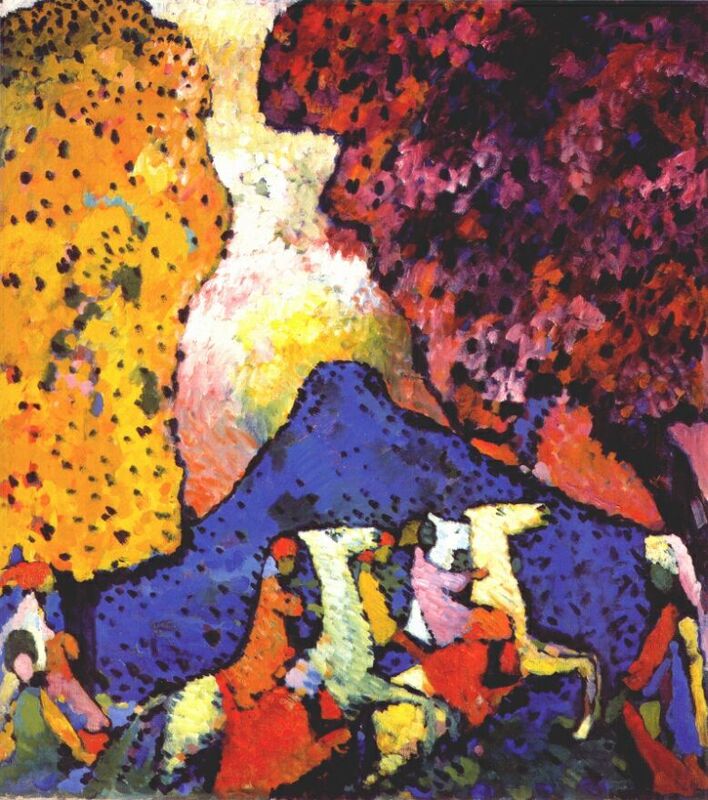 Oil on canvas, 55 3/8 x 74 1/2 inches (140.5 x 189.2 cm). Solomon R. Guggenheim Museum, New York, Solomon R. Guggenheim Founding Collection." 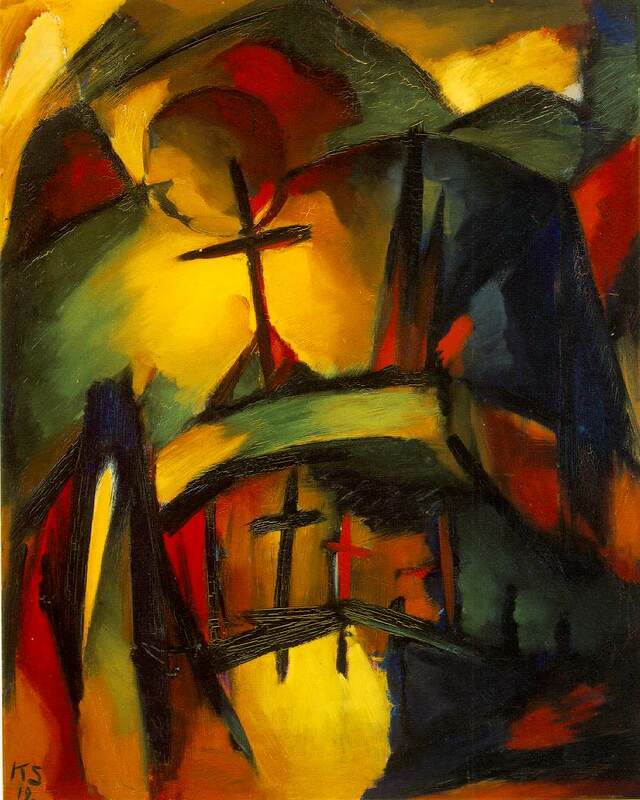 Kurt Schwitters’ meditation on war, Mountain Graveyard, 1919. America: Painting a Nation is the most expansive survey of American painting ever presented in Australia and is the Gallery’s major summer exhibition for 2013. It is part of the Sydney International Art Series which brings the world’s outstanding exhibitions to Australia, exclusive to Sydney, and has been made possible with the support of the NSW Government through Destination NSW. Over 80 works, ranging from 1750 to 1966, cover more than 200 years of American art, history and experience. The exhibition sets a course from New England to the Western frontier, from the Grand Canyon to the burlesque theatres of New York, from the aristocratic elegance of colonial society to the gritty realism of the modern metropolis. This exhibition will reveal the breadth of American history, the hardy morality of the frontier, the intimacy of family life, the intensity of the 20th-century city, the epic scale of its landscape and the diversity of its people. The works being presented – many by American masters – are the works Americans love and works that represent the stories they have grown up with. America: painting a nation features well-known names – Jackson Pollock, Mark Rothko, Georgia O’Keeffe and James Whistler among them. 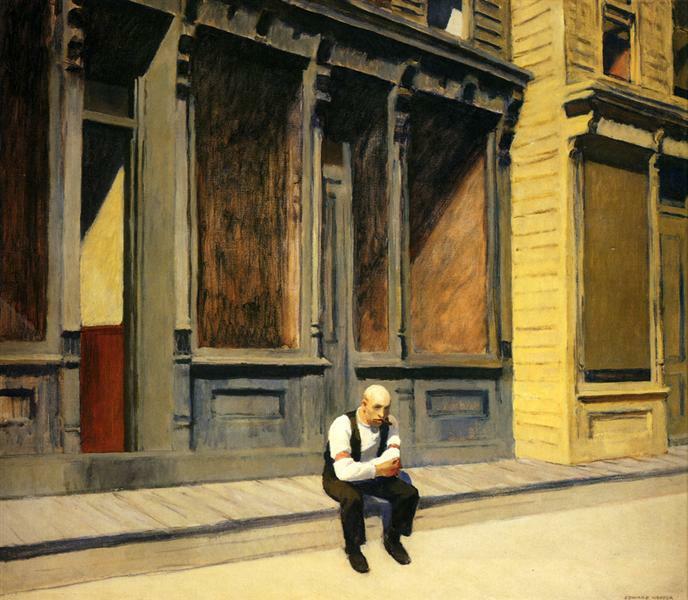 But most are less familiar; the ‘household names’ of American art are rarely seen in Australia. The exhibition will introduce Copley, Peale and Sully, the great portraitists of the Revolutionary era; Church, Cole and Moran, masters of the sublime landscape; Homer and Remington, lyric poets of the frontier; Cassatt, Sargent and Hassam, celebrators of the 19th-century Gilded Age; Sloan, Shinn and Henri, humanist observers of the early 20th century city; Demuth, Marin and Davis, the voices of a uniquely American vision of dynamic modern life. Selected in collaboration with the Los Angeles County Museum of Art, the Terra Foundation, Chicago, the Philadelphia Museum of Art and the Museum of Fine Arts, Houston, America: painting a nation brings to Sydney both national and regional perspectives on American art. Diversity is a key theme in the exhibition. The cultural diversity of a continent inhabited first by Native American Indians; colonised by the Spanish, French and English; and developing through mass migration into a cultural melting pot. The physical diversity of a landscape encompassing the dense forests of the northeast, the endless plains of the Midwest, the awe-inspiring geography of the Grand Canyon and the stillness of the desert. ‘This exhibition signals a significant direction for the AGNSW by building relationships with major American museums and further developing our visitors’ engagement with American art and culture. While we have a fair share of American culture in Australia, especially through the media, we need to be better connected with American history and American vision. What we see in this exhibition is how America came to be America. The artists reveal America’s foundation narratives: the Pilgrims, the Founding Fathers, the frontiersman, the migrant. They explore the ideas, places and people that made America exceptional but equally there are works that don’t shy away from the darker chapters of American history either. Some of the paintings are very challenging’, said Michael Brand. A measure of the wealth, ambition and unique cultural circumstances in pre- Revolutionary America. The Cadwaladers were art patrons in Philadelphia, then the fourth largest city in the British Empire and soon to be the site for the drafting of the Declaration of Independence. This is a modern family; their wealth derives from business, their values are those of the Enlightenment, and their relations are casual. Peale reinvents the family portrait, setting aside the rigidity of English aristocratic conventions and revealing the informal spirit of an emerging American character. A portrait of a Native American leader reveals the moral and political complexities of American history. Bridging two worlds, No-Tin adapts imported clothing and feathers into formal regalia worn during territorial negotiations in Washington DC. One of a series of official portraits, coinciding with the federal government policy of forced removal and relocation, the image speaks of heritage, nobility and loss simultaneously. The grand idea of frontier life as a hallmark of American character, condensed into a modest anecdote from everyday life. A folksy tale – boy meets girl over a shared drink of well water – expands into a gentle reflection on youth, rural labour and the Puritan legacy. 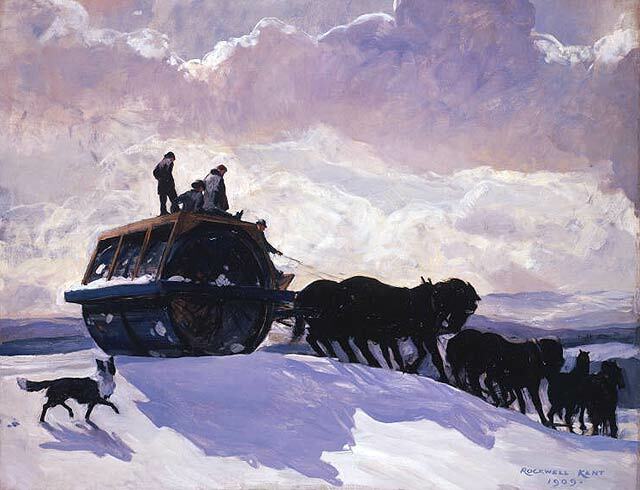 A reminder that morality pervades American art: honest work, sound community values and a foundation of piety shape the 19th-century frontier. A hymn to the awe-inspiring scale of American space. Immersing the viewer in a space so deep that all sense of scale is lost, the painting pushes the idea of the sublime to an almost hallucinatory level. Moran’s huge landscape reveals why big is so important; wide-open spaces represent not only the might of the Creator but the seemingly boundless opportunities of the New World. A remarkable example of art’s passage from personal experience to national symbolism. 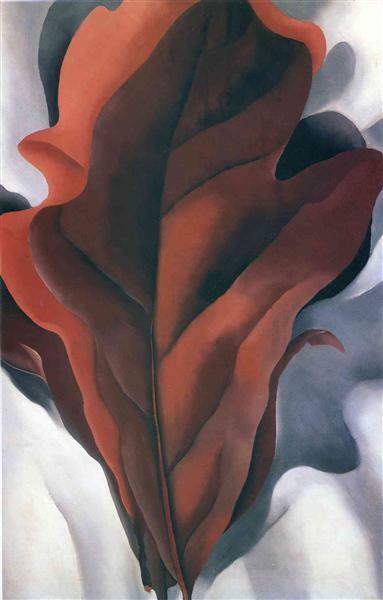 O’Keeffe abandons New York for the open spaces of New Mexico. 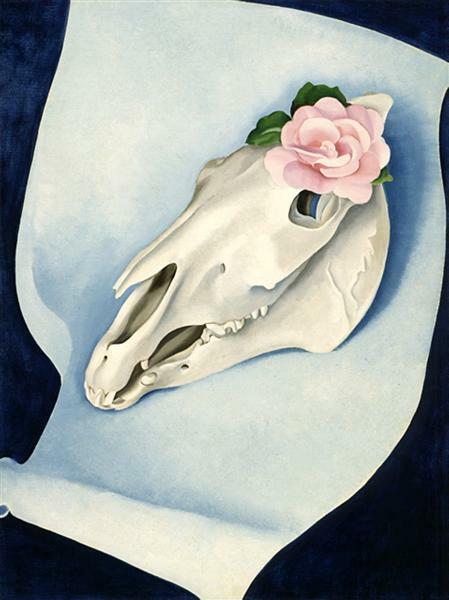 In a horse’s skull, found in the desert, she finds a symbol of the frontier, history and mortality. In a moment |of improvisation, she adds a flower, adding a grace note of commemoration, fecundity and beauty to a symbol of death. A deliberate attempt to invent an American symbol, the painting also marks the artist’s embrace of a new life in the west. 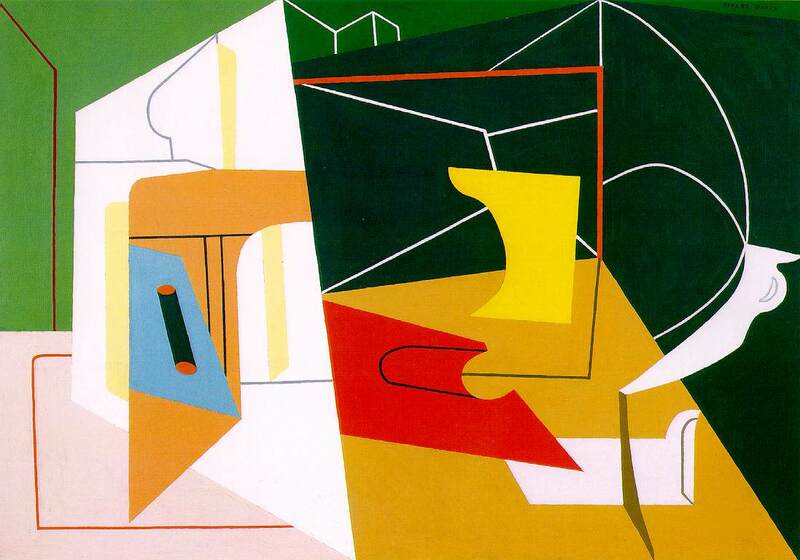 A distinctive characteristic of American abstract art is that it always stayed connected with the realities of American experience. 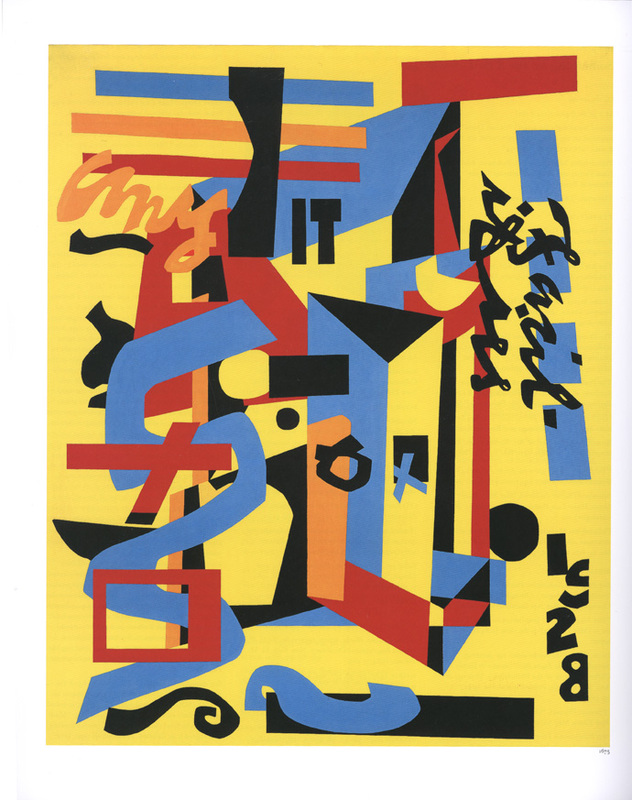 Davis finds abstract values – colour, energy, vitality – in American street life. Neon lights, advertising hoardings, petrol stations and jazz music inspire a painting to appeal to the avant-garde and the hipster alike. A comprehensive full-colour book with over 90 images will be published in conjunction with the exhibition. 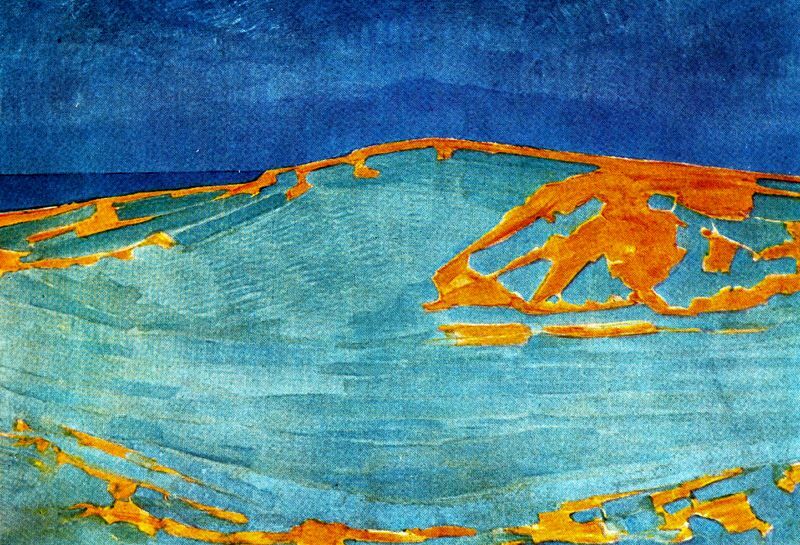 This is an attractive picture but it gives no idea of the range of Hassam’s work. 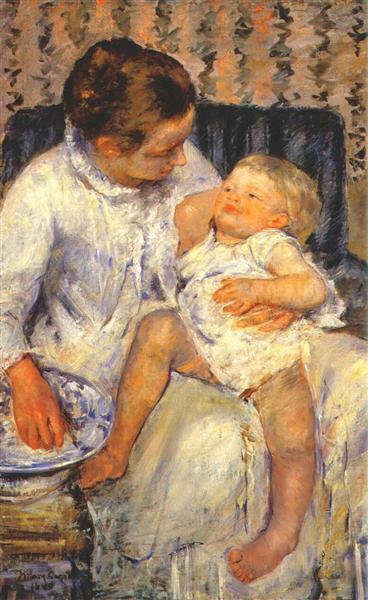 Mary Cassatt (1844-1926) the only American painter to have exhibited with the French Impressionists was represented by six works in the 2009 show, but only two in Sydney. is said to be her first painting on the ‘mother and child’ theme. It certainly looks like a first attempt, being a clumsy bit of painting that distorts the proportions of the figures. support from the Terra Foundation for American Art.